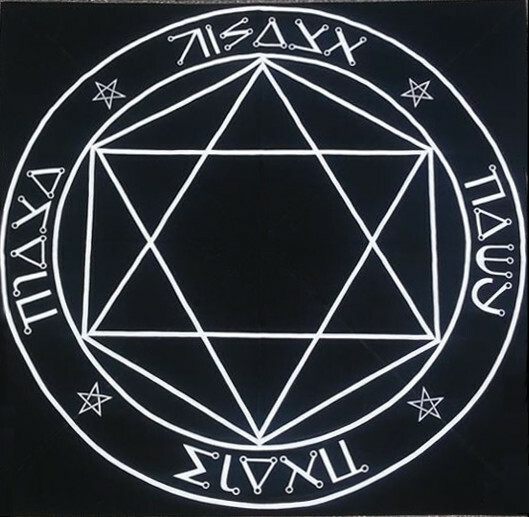 Magick Circles are large talismans (or mandalas) inscribed on the floor to mark the boundaries of sacred space. 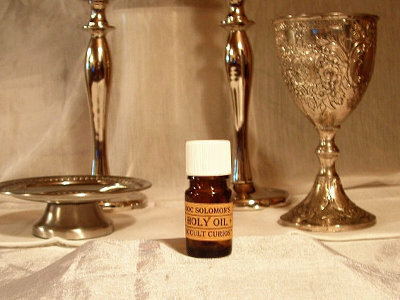 Sometimes they are used as protection against hostile spirits (such as during exorcisms), but they are just as often used to empower a space, and thus one’s magick, with various Divine and Angelic influences. In the Solomonic tradition, Circles were either marked in the earth with a wand or dagger, or they could be inscribed upon a floor with consecrated chalk or charcoal. 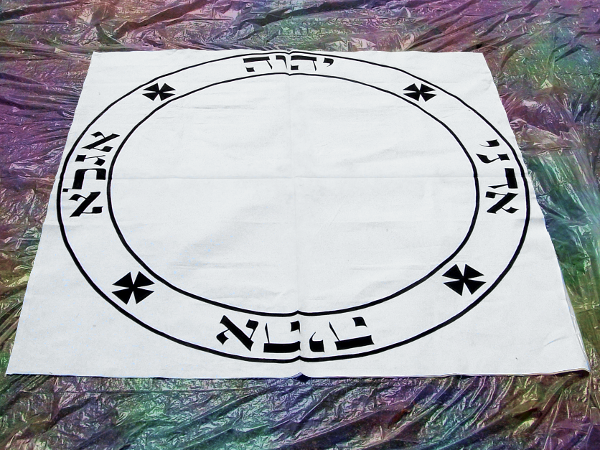 Today, a “magick carpet” style of Circle has become popular – with the Names and Characters marked upon cloth, tarp or canvass. These allow the practitioner to easily transport and position the Circle for many different uses. Our “Magick Carpet” Circles are hand-painted on cotton canvass. Pictured are 5′ diameter double-circles bearing four Hebrew Divine Names separated by four holy symbols. The Key of Solomon recommends this design for a Circle intended for the consecration of all tools, implements, talismans, etc. Besides the standard design, more complex Circles are available upon request. Price will vary. All our hand painted magick circles are made to order, including the “standard” version(s) shown above. Contact us directly to place your order. Be sure to tell us your required size, color(s), and names (including your desired magickal language) if different from those shown above.